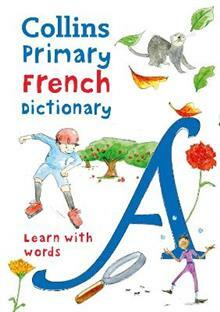 An ideal primary school dictionary of French for kids, developed to help improve French language skills at home and in the classroom. Specifically designed to meet the needs of children aged 7-11 learning French at primary school, this easy-to-use, colourful dictionary provides the perfect reference for the new curriculum with detailed coverage of core English and French vocabulary. Themed pages, fun illustrations and simple examples help children to remember words and translations. Core English and French vocabulary is given thorough coverage and key phrases are highlighted, offering all the support needed for children to study the new curriculum. Consumer Review previous edition: Excellent for children. It's hard to get excited about a dictionary but this one is fantastic! Perfect for my nearly-10 year old daughter.